Windows 8 - Faster boot times, better power usage and the Windows 8 "Modern UI"
Experts Exchange > Articles > Windows 8 - Faster boot times, better power usage and the Windows 8 "Modern UI"
The formerly known as the "Metro UI" of Windows 8, this UI or User Interface, has now been officially renamed to the Windows 8 "Modern UI". This change was made after a branding issue occurred with the European based company Metro AG. Metro AG is a German company based in Dusseldorf, Germany. Microsoft has made an attempt with Winodws 8 to bring all of your devices, tablets and PC's to a place where you can share the same user experience on all of these devices across the board. The "Modern UI" is Microsoft's new approach to the Windows UI. Basically, this is a "Live Tiles" based UI that is completely replacing the Windows "Start Menu" and quite possibly your entire way of interacting with your desktop. The new style resembles the Windows Phone 7 "Tiles" UI, instead of a menu that comes up with all of your common libraries and programs, like the old "Start Menu", you get a full screen desktop-like view that includes all of your shortcuts and programs as well as the new Apps that will be available from the "Windows Store" by pressing the "Windows" key on your keyboard. This new "Tiles" format in some ways is much more convenient than the old style desktop icons but, there is going to be a bit of a learning curve here for the average user. Users will not need to launch several different programs/apps to get any piece of live information from their "Tiles". You will be able to easily see your calendar and appointments in the "Mail" App, comments and updates from all of a users social media applications and current weather all live in the new UI's "Start Menu" "Tiles". The actual Apps can be launched easily from this menu as well. Very limited operations in Windows are as picked apart or measured than the Windows boot time. This is very understandable, boot time represents an actual effective measurement and evaluation for overall system performance. Windows 8 has been tested by many PC reviewers and notable sources as being much faster at booting up to your log in screen at start up. There have even been cases where some people say that the boot sequence is too fast. This being from the point of view of pressing F8 for a boot menu or for BIOS setup screens, etc. Since Windows 7, Microsoft has been diligently working at finding better ways to get you to your desktop user experience as fast as it can. With SSD's being widely used in PC's these days, you would think that there is a big focus on this, and there is. Microsoft has introduced DirectX into the new Modern UI now as well. DirectX is the part of Windows that provides a common application programming interface, or API, that allows developers to use the graphics hardware in the PC to draw text, shapes, and three-dimensional scenes, and display them on the screen. DirectX has also evolved over time in both capabilities and performance characteristics. In the early years, DirectX was focused mainly on games. As applications evolved to provide richer and more graphically-intense user experiences, many of them started to use DirectX as a way to get better performance and richer visuals. Whereas previously, DirectX mainly provided 3-D graphics, we added functionality for what we call “mainstream” graphics. Mainstream uses center on the typical desktop applications most people find themselves using every day, including web browsers, email, calendars, and productivity applications. Windows 7 added two new components to DirectX: Direct2D for two-dimensional graphics (shapes, bitmaps, etc.) and DirectWrite for handling text. Both of these additions not only focused on performance but also on delivering high-quality 2-D rendering. With these additions, DirectX became a hardware-accelerated graphics platform for all types of applications. What this basically means is that DirectX has now been added to the general functions of Windows and not just 3D rendering for specific applications or games. This will greatly increase the performance of your applications and overall Windows experience as a whole. Minimizing the power usage of your PC while at the same time trying to maximize the devices speed, responsiveness and utility is a very daunting engineering hurdle. I can only imagine that most of us are probably familiar with the benefits of good power management: Longer battery life. Mobile computing systems and devices are highly tested and reviewed with their battery run time as a primary decision point and this is done with very good reason. Delivering long battery life in a PC or mobile device requires a lot of good engineering and in how the operating system, hardware and application software interact with one another. In addition to battery life, the next most reasonable items of good PC power management are reduced energy costs and the environmental issues that come with disposal and recycling. The Windows 8 power management infrastructure is brought to you via the Modern UI style. The Modern UI style is designed from the ground up to be extremely power friendly. Applications that are running in the background are now suspended or deactivated so that they don't use available power or memory resources when not in use. Background activity is a very critical part of programs and applications that are always running and need to be available on demand. The new Windows 8 Modern UI introduces a new approach to program activity with a new feature they call "Background Tasks". Background tasks will now provide functionality to programs and apps even when the app is not running. The background task will have a trigger, which indicates when the task should run, and a set of variables which must be true for the background task to run even if the trigger has been initiated. Triggers can possibly be time, push notifications, or other system events. So what this does is reduce power usage overall in the end. We shall all get to see for ourselves soon. I really hope that Microsoft gets this right and moves the IT industry forward in new ways. There is a lot of grumbling out there about Windows 8, but I am optimistic. I am also an IT professional and I am required to learn all of these things even if I like or dislike them. I will still have to maintain and work on these devices. 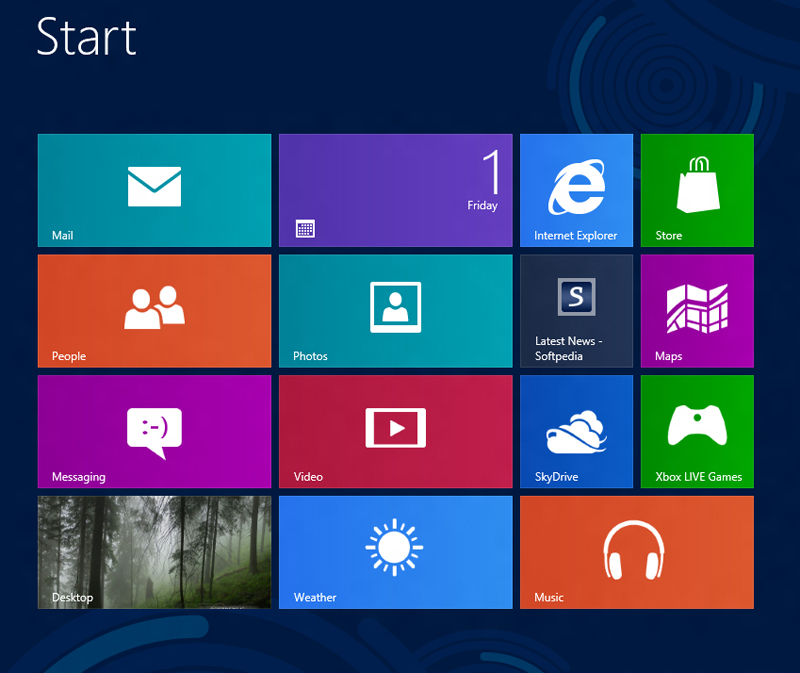 However, I think barring any major blunders, Windows 8 will be successful. I hope someone finds this article useful, as I felt a need to share some of my experience and knowledge of Windows 8 and how the new UI is designed to operate and to be used.